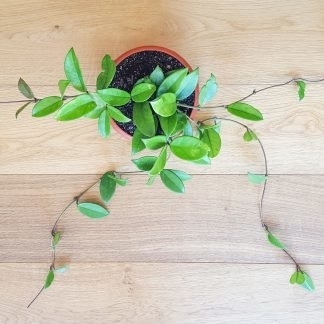 A lovely trailing Peperomia with almond-shaped striped leaves. Peperomia Puteolata is an attractive plant that loves medium to bright indirect light and a warm position. Keep moist but not too wet. We’ve paired this plant with our high quality Pure White Pot, 16cm diameter. 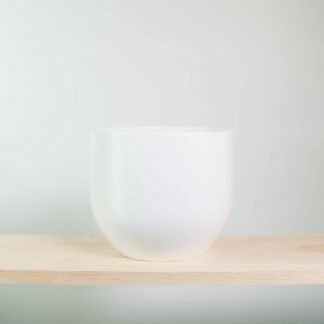 This ceramic pot has no drainage hole. 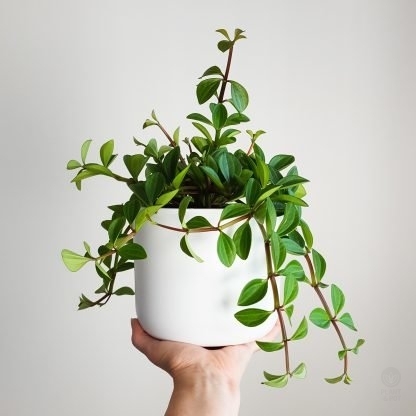 A lovely trailing Peperomia with almond shaped striped leaves. Supplied in a 14cm grey plastic nursery pot with drainage.